1965: The Zakhem brothers were awarded a major contract in Iraq, constructing the 300-kilometer twin gas pipelines from Kirkuk to Baghdad and the aviation fuel system at Baghdad International Airport. 1976: Zakhem was awarded a major contract in Kenya to construct a 450-kilometer product pipeline that would extend from Mombasa to Nairobi. 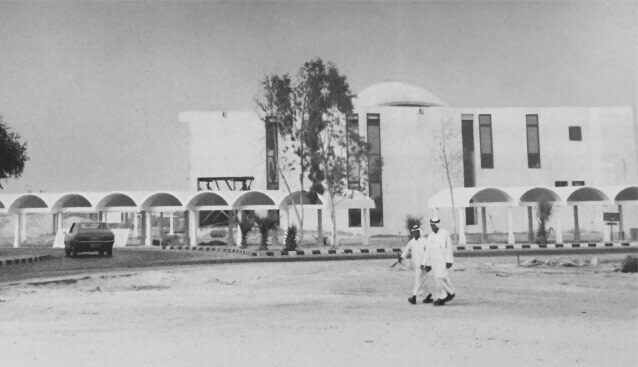 Expanding to Abu Dhabi by 1968, Zakhem constructed the first gas pipeline, with dehydration and desulphurising plants, to transport gas from the oil fields at Shams to the first power station built in Abu Dhabi. Unlike historians who interpret the past, engineers are expected to predict and gauge the future’s rising demands. 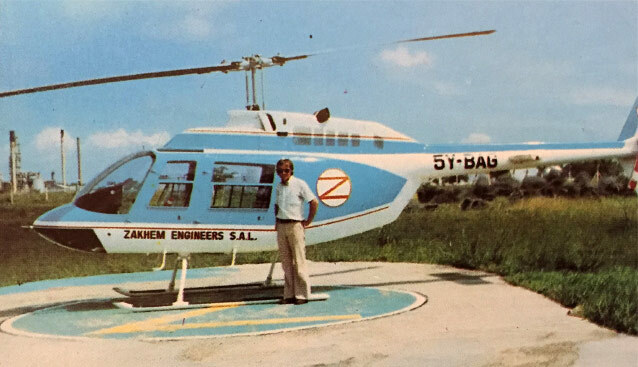 This was George and Abdallah’s intention in 1964 when they founded Zakhem Engineering in Beirut. By 1965, the brothers were awarded a major contract in Iraq, constructing the 300-kilometer twin gas pipelines from Kirkuk to Baghdad and the aviation fuel system at Baghdad International Airport. Zakhem extended their operation and executed other types of projects, most notably the construction of the Social Security Building, Baghdad’s second largest commercial building at the time. 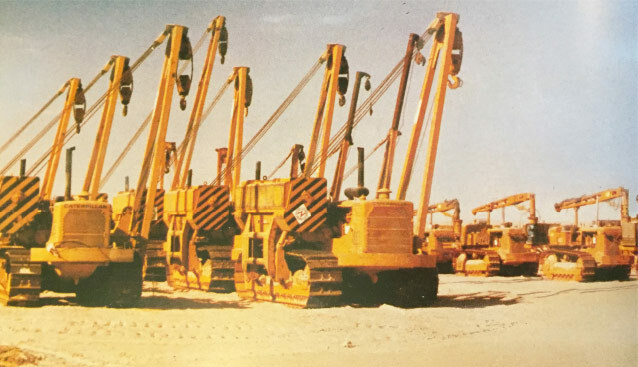 Expanding to Abu Dhabi by 1968, they constructed the first gas pipeline, with dehydration and desulphurising plants, to transport gas from the oil fields at Shams to the first power station built in Abu Dhabi. By 1974, Zakhem covered 12 countries worldwide, including multiple areas in the Middle East. Because of civil war eruption in Lebanon in 1975, Zakhem moved operations to Europe. The board of directors also welcomed younger brothers Ibrahim and Albert. While in London, the company was introduced to the international market and secured a major contract in Kenya by 1976 to construct a 450-kilometer product pipeline that would extend from Mombasa to Nairobi. Another major contract in Qatar supplied the new power station at Ras Abu Fontas, Doha, with natural gas from the Fahaheel oil fields through a 30-inch line, including its wellhead treatment plants. In 1983, a major oil pipeline with a 42” diameter and 650-kilometer length was completed for the Arabian Gulf Oil Company, (AGOCO) Libya. Work in Kenya was the catalyst in creating a variety of projects in other African countries, from water supply and distribution in Kenya and Tanzania; to constructing roads and highways in Tanzania and Botswana; to oil and gas in Nigeria and Ghana; and to building a new university in Senegal. From 1990, the Group further expanded to West Africa, building oil and gas terminals in Nigeria and later Ghana. Important European projects include the Parque Da Floresta golf and leisure complex in Algarve, Portugal, comprising an 18-hole golf club and 150 villas and apartments. Zakhem also constructed a number of commercial and residential projects in London, including the Millennium Windsor-Slough Hotel, consisting of 219 rooms, a health club with an indoor swimming pool, and a two-level covered parking lot with 250 spaces. The hotel was completed in a record 17 months, an achievement yet to be challenged. After Lebanon’s civil war, Zakhem helped construct and rehabilitate infrastructure projects including roads, water distribution, telephone networks, a hospital and a new university campus for the Lebanese American University in Byblos. Zakhem’s results in the last few years justify their determination and confidence in their achievements, as well as their future vision. Currently in 2017, they are: constructing a 220-megawatt power station in Ghana, a 48” gas pipeline in Algeria for Sonatrach, and a 36” gas pipeline for NNPC Nigeria; upgrading and restoring the airport terminal for Senegal Airport in Dakar; building compressor stations at Benin for the new West African Gas Pipeline from Nigeria to Ghana; developing a power station at Congo-Brazzaville; erecting a five-star hotel with 269 rooms in Accra, Ghana; and constructing a 450-kilometer oil pipeline in Kenya. These projects are being managed simultaneously, and more major contracts are expected in the immediate future. Zakhem’s orders and turnover have increased significantly in the past two years, and the company has offices in 23 countries. Zakhem’s work over the past 50 years proves to be a distinct success. The Group continuously endeavours to achieve greater heights by helping developing countries continue to evolve and improve their oil and gas, hospitality and medical infrastructures. Their continued pursuit of success will be achieved by their enthusiasm and an immense amount of honest, hard work.